In preparation for the upcoming narrative game Detroit, I’ve been streaming David Cage’s 2010 crime thriller Heavy Rain over the last two weeks on Kotaku’s Twitch channel. Last night, we reached the game’s most iconic and brutal scene. Heavy Rain revolves around the Origami Killer, a serial murderer who kidnaps children, drowns them in rainwater, and leaves origami figures behind on their corpses. The story follows four protagonists as they try to stop him from killing again. One of these characters, arguably the main character of the story, is Ethan Mars, a father whose son Shaun has been kidnapped by the killer. To get Shaun back, Ethan must complete various challenges including driving down a highway the wrong way and crawling through a tunnel lined with broken glass. 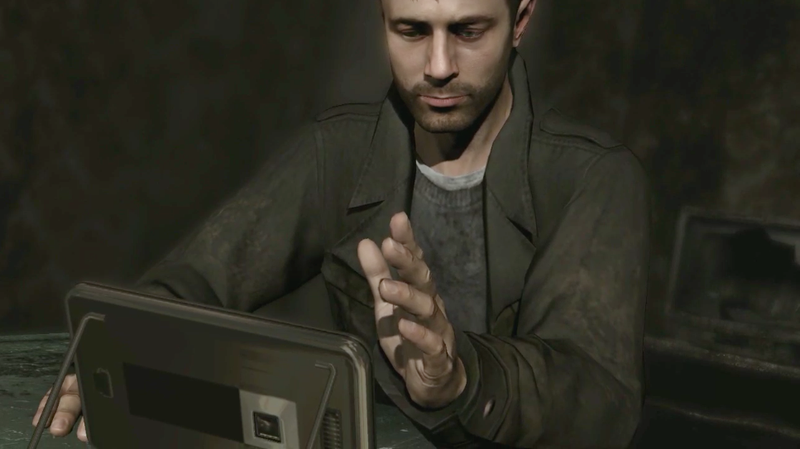 David Cage’s games often promise grand narratives while failing to deliver. They want to send a message but if you ask Cage what the message is, he shrinks away from answering. His previous title Indigo Prophecy started off strong but slowly devolved into super powered kung fu fights and casual racism. The game following Heavy Rain, Beyond: Two Souls, is a high budget flop characterized by a disjointed narrative and distracting misogyny towards the lead character. Heavy Rain does not side-step Cage’s major flaws as a writer: the main plot lacks cohesion and often veers into wild tangents, but individual scenes are often tense. Ethan’s most daunting trial is the Lizard Trial, in which he has to cut off one of his fingers to gain more information about his son’s whereabouts. The player only has five minutes to decide whether to perform the deed and pick which tool is right for the job, including a sharp knife or a pair of pliers. The scene is a frantic rush, forcing the player to rifle through the room to find the best implements. This is coupled with a strong musical score by composer Normand Corbeil, which uses an elevated tempo and numerous string instruments to emulate the fast pounding of a heart. Lastly, the game’s controls force the player to physically act out the deed. Heavy Rain is full of quick time events, simple button presses that propel characters forward through actions scenes, but players also use the controller to emulate a character’s physical actions. Turning a doorknob require players to twist their thumbstick, and brushing teeth is handled by shaking the controller back and forth. The result is a control scheme that not only helps the player identify with their characters and puts them in the moment, but it also stresses a physical relationship to the game world. When I streamed the scene, the chat eventually settled on using the pliers to cut off Ethan’s finger. I had to hold down various buttons to ready the pliers, slowly moving my control stick in and out to steady Ethan’s breath, and finally slam my controller down to simulate the action of snapping the pliers together. It’s a demanding scene that challenges my relationship with Ethan. I can either ignore his strong motivation to save his son and abandon the trial or maim him, acting out the deed all the while. The Lizard Trial intelligently challenges the player and merges all of the game’s mechanics into something that feels painful. It is a shame, then, that much of the game fails to live up to this example, with only a few additional scene reaching similar heights. I intend a full breakdown of the game after the streamed playthrough is complete, but the Lizard Trial is a reminder that Heavy Rain is far less than the sum of even this one scene. It is a meandering mess, but for one brief moment, it really, really works.